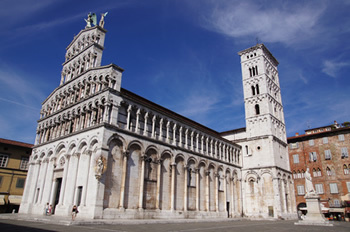 This day excursion is designed for those who have already visited Florence in the past and would like to spent a day in Tuscany and wish to enjoy the highlights of Pisa and Lucca. 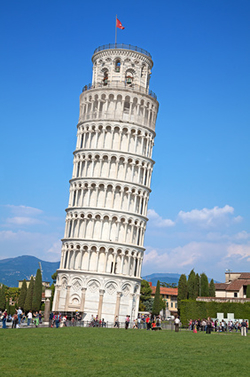 You will be greeted at the Port of Livorno, and will make your way to the small city of Pisa. Here you will spend a portion of your morning at the Leaning Tower and the main square, Piazza dei Miracoli, the Cathedral and the Baptistery. Continuing your tour along the scenic route in the Tuscan countryside, will arrive at one of the most beautiful cities in Italy, which is actually is not known by many, Lucca. It shows like many other Italian cities its Roman roots and style. Lucca's defensive walls are still perfectly preserved and once you have entered in the city you'ld feel that you have gone to the past. Here you will see Duomo di San Martino, the city walls and if you wish a visit a local winery time permitting before heading back to the ship after the visit of Lucca to arrive around 5pm.